In 1972, the new Republican Constitution, declared Sri Lanka a “Republic” and the monarchy abolished. Thereby the office of the Governor-General was replaced by that of President as head of state and the Prime Minister continuing to serve as the head of government. In 1978, the second amendment to the Constitution moved from a Westminster System into a Presidential System with the President serving as both head of state and head of government. An elected presidency with a longer term and independence from Parliament was thus created. The President would be the commander-in-chief of the armed forces, head of the cabinet of ministers and could dissolve parliament (after one year has passed since the convening of parliament after a parliamentary election). The Prime Minister would serve as the deputy to the President and successor. 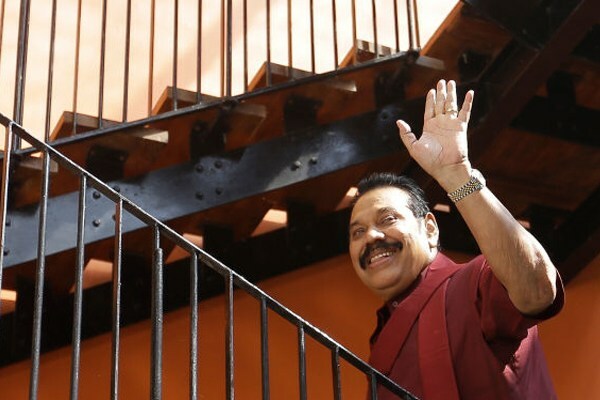 Sri Lankan presidents are involved with every aspect of the government and are able to hold cabinet portfolios, or can bypass the cabinet posts by delegating decisions to the Presidential Secretariat. Cutting a long story short on 28th April 2015, The Nineteenth Constitutional Amendment implemented restrictions on the powers of the presidency by removing much of the changes made by the eighteenth amendment. It limited the presidency to two, five year terms. The amendment mandates that the president consult the prime minister on ministerial appointments. It curtails any president’s immunity by making him liable to fundamental rights litigation on any official act. Dr. N. M. Perera prophesied when addressing a seminar in 1978 on the proposed JRJ Constitution, he said, “The fact that the President has the authority to assign to himself any topic or function which he desires to take over, he can at will reduce or remove any function already agreed to the PM or to any other minister. What happens to the left majority in the House supporting a left Prime Minister who is saddled with a President sponsoring an opposite policy in conflict with the declared policy of a majority in the Parliament? How is this conflict to be resolved? Will that President be prepared to swallow his pride and foreswear his convictions adumbrated, intimated and summarised in his own declared policy when he assumed office? If neither is prepared to give way, there will be a deadlock. Today, it is a prophecy come true. It was indeed ironic for the people of Sri Lanka to experience the fact that all those who were subsequently elected as Presidents, after Mr. Ranasinghe Premadasa, rained insults on the constitution calling it the “Bahubootha Vivasthava” – Feather-brained Constitution and promised in their election manifestos that the first thing they will do is totally eliminate, exterminate and abolish this monstrous constitution. After stepping in to that seat, all of them, without exception, enjoyed every privilege, to the maximum, and totally forgot their promises and commitment, because of the power they wielded. The J R Jayawardene Constitution was designed for political leaders with probity, complete and confirmed integrity; having strong moral principles; but unfortunately down the line, including the present crop of politicians lacked quality, competence and character. The Presidents favoured and encouraged the prostitution of talents to the unworthy and the corrupt mainly for personal and financial gain. State offices and services were spewed out on whim, venality and corruption. We would like to intervene at this juncture to address, as citizens of this country to advise and suggest to Mr. Ranil Wickremesinghe what his future governance should be. In that he turns strategies and plans into actions in order to accomplish strategic objectives and goals. Political parties usually shape the behavior of their members by adopting internal party rules. Arguably, the most draconian rule is expulsion from the party. Because this sanction has little effect on a person who threatens to leave the party anyway, internal party rules are ineffective in producing parliamentary cohesion when members are willing to defect rather than submit to party discipline. Therefore, it is imperative that legislations against crossing the floor – a phrase often used for party switching or defections – should not be mere “laws;” they must be enshrined in our national constitutions; to the effect that elected members of parliament and other local bodies shall forfeit their seats if they change political parties. The anti-defection legislation, must emphasise the fact, if a candidate of a political party had been elected to the House of Representatives or Provincial Council or other local bodies, as a candidate of that political party, defects or crosses the floor, he should resign from that political party forthwith. A by-election to that electorate will give him the option to contest under the political party of his choosing thereby giving the party under which he was elected to prove their right by placing another candidate for elections. If he wins – well, it is the will of the people. If Laws against party – switching, defecting, or floor-crossing are not implemented, the whole democratic election process turns into a joke. What is the point in people voting for a party when the candidate whom we voted in under a party symbol decides to defect for his personal gain? All those who voted for him will look like utter fools. It is also pertinent to mention, that it is a big question mark, that all citizens in a country will think positively before exercising their franchise. There are voters who do not have anything like coherent preferences. Among them most people pay little attention to politics; when they vote, if they vote at all, they do so irrationally and for contradictory reasons. This makes it all the more the reason for anti-defective legislation, regulations, treaties and other legal instruments to come to have legal force and effect to make this a reality and to remove this demonic defections in parliaments as well as in other local bodies. The other suggestion is that we would also like to emphasise the fact that the position of Presidency should be totally abolished. We do not even need a figurehead of a president. There is no necessity to pay out an additional stipend to a dormant individual, when such monies could be used for more important work in the country.